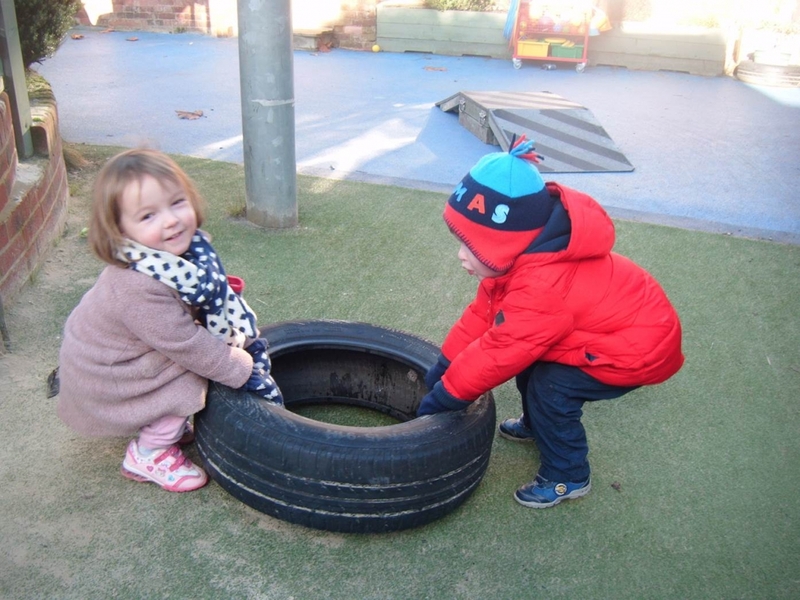 Welcome to Dorking Nursery School and Children’s Centre! Consistently rated ʻOutstandingʼ we are the only maintained nursery school in Dorking for children aged 2-5 years and have been at the heart of the Dorking community since 1939. Our Childrenʼs Centre is an invaluable resource for local families from birth onwards. We offer support and advice as well as activities and courses. We embrace every child's individual needs and our diversity makes us unique. All our children benefit from exceptional, specially trained teachers and supportive experienced early years staff. Our focus on education and learning creates an environment where every child and family can achieve their potential. We help every child to flourish and blossom giving them the best start in life. Dorking is fortunate to have of Surrey's four maintained nursery schools in the heart of the town. As a early education provider, it differs from the rest of the sector as it is legally constituted as a school, benefitting from a Headteacher who is a qualified teacher and early years specialist, a governing body, delegated budget and other members of staff who are qualified teachers and early years practitioners. Read our September 2016 inspection findings to find out more or explore our website. Alternatively, we welcome visitors, please contact us to arrange a visit. In September 2018, we entered into a new and exciting partnership with Chertsey Nursery School and Children's Centre, providing leadership and governance support. To find out more about how we work with Chertsey, click here. Quite simply, we are Dorking. Dorking Nursery School and Children's Centre is committed to safeguarding and promoting the welfare of children, young people, families and carers, and expects all parents, carers, staff and users to share this commitment. To view our Safeguarding and Child Protection Policy, click here. ​Paper copies of any documents on the website can be obtained by contacting the office. Happy Easter to all our families! Have a wonderful day in the sunshine and we look forward to welcoming you back to West Street and Goodwyns Road on Tuesday! No Stay and Play on Monday 15th April and Tuesday 16th. No Kickers and Crawlers on Thursday 18th April. Back as normal on Tuesday 23rd April. Have a good Easter everyone! Enjoy the sun! All the children are invited to wear something red for a £1 donation to the charity. Plus, the children will be doing a variety of ‘red’ themed activities. We plan a happy, nurturing, secure environment where children can grow in confidence and develop their learning through play experiences that are meaningful to them. The 3-5s nursery is an exciting and carefully planned learning environment where we provide a balance of child-initiated and adult-initiated activities. We provide high quality services and activities for parents, carers and children. Our Children’s Centre is located on two sites, one in the town centre of Dorking, on West Street and the other on Goodwyns Road. Do you want to find out more about how to enhance your child's development and learning? If so, we have a range of courses covering every age and stage of your child's early life. People love our courses. Find out what they're saying about us. Book your place on one of our courses for early years practitioners. Look forward to returning to you on another occasion.